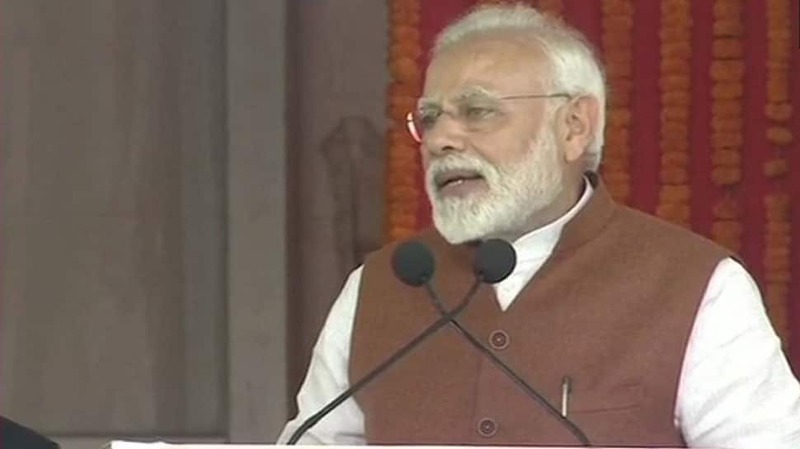 Amaravati: Prime Minister Narendra Modi on Sunday hit out at Andhra Pradesh Chief Minister Chandrababu Naidu and said even though the latter had assured new projects for the poor, he ended up replicating the Centre’s schemes. “AP CM Chandrababu Naidu assured new projects for the poor but has only replicated NDA govt’s programmes,” PM Modi said. PM Modi hailed the NDA government’s work and said that they have been building oil reserves at different locations to meet oil and gas requirements in difficult times. “Our government continuously working to make India a clean fuel economy and several projects have been initiated in this direction. NDA government is building oil reserves at different locations to meet oil and gas requirements in difficult times,” he said. The Prime Minister is on a visit to Andhra Pradesh to address rallies ahead of the Lok Sabha polls. Later in the day, he will visit Tamil Nadu’s Tiruppur and Karnataka’s Hubballi.